This 'Orange Peel' Cestrum is a fantastic shrub for the garden, surviving temperatures down to -5c it is semi-evergreen in sheltered and mild coastal gardens and provides a touch of the tropics to any well drained garden border, patio planter or Jungle style garden. 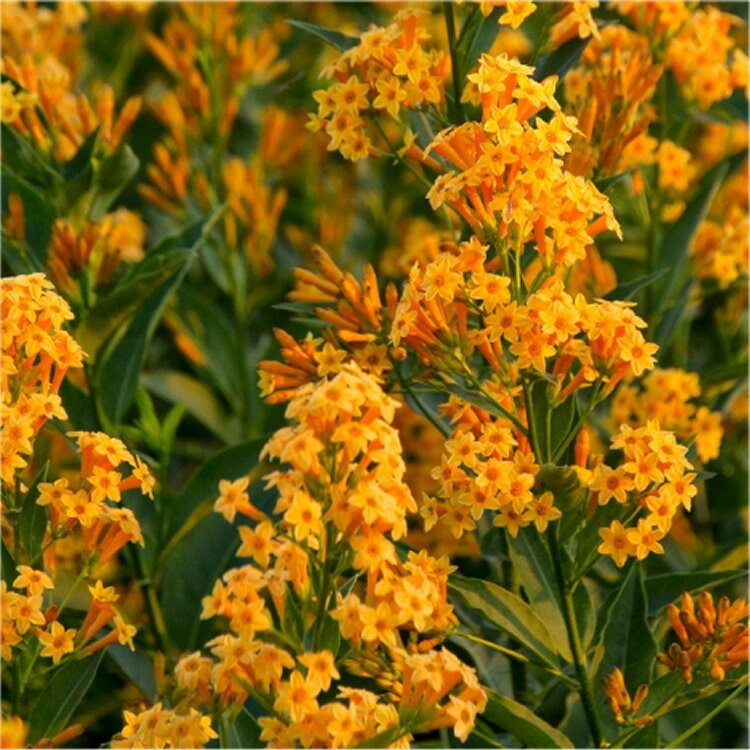 It will thrive in a bright sunny spot and provide masses of flowers over many months - a living bouquet of golden yellow-orange blossoms that in warmer spots will last from spring through to the first winter frosts. 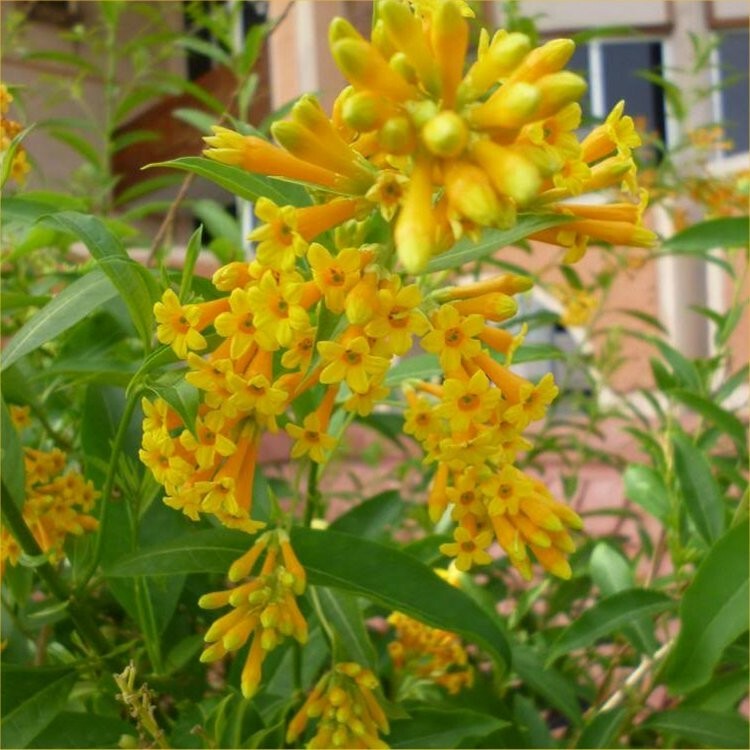 The attractive tubular flowers produce a beautiful sweet scent in the evenings around sunset, so this is a must have near an evening seating area when you want to be surrounded by a nice perfume, they will also prove a magnet to butterflies seeking the sweet nectar hidden within. Easy to grow and low maintenance, they are drought tolerant once established attractive foliage has a similar appearance to that of a green willow - hence the common name, perhaps it is time to try one in your garden? Supplied in approx 4-5 litre containers at around 100cms tall, covered in buds and blooms in season.